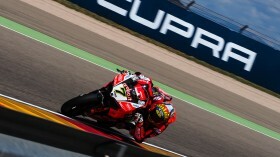 Marco Melandri (Aruba.it Racing – Ducati) kept his Friday lead ahead of Jonathan Rea (Kawasaki Racing Team WorldSBK), as the Free Practice Three at MotorLand Aragon proved to be short-lived. The black clouds that crept over the five-kilometre track during the WorldSSP FP2 opened up just as the WorldSBK riders had started to record times. As such, just ten riders managed to improve on their previous best laps. The session started with no issues, weather or other, with every rider bar Chaz Davies (Aruba.it Racing – Ducati) setting out around the track. Fifteen minutes later, however, with rain drops coming down harder and heavier, everyone had made it back to their boxes. Only a small group made it back to the track at any point of the remainder of the session, Loris Baz (GULF Althea BMW Racing Team) running for the last ten minutes. 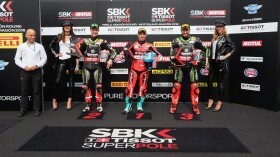 As such, there were no changes across the top four, with Melandri, Rea, Tom Sykes (Kawasaki Racing Team WorldSBK) and Davies hanging onto their previously recorded positions, and confirming that the KRTs and Ducatis are the bikes to beat over this weekend. Behind them, local rider Jordi Torres (MV Agusta Reparto Corse) recorded the fastest lap of the FP3 with the fastest times in the first three sectors, and managing to move up a place to fifth, ahead of Alex Lowes (Pata Yamaha Official WorldSBK Team) who also improved on his FP2 time by four tenths. 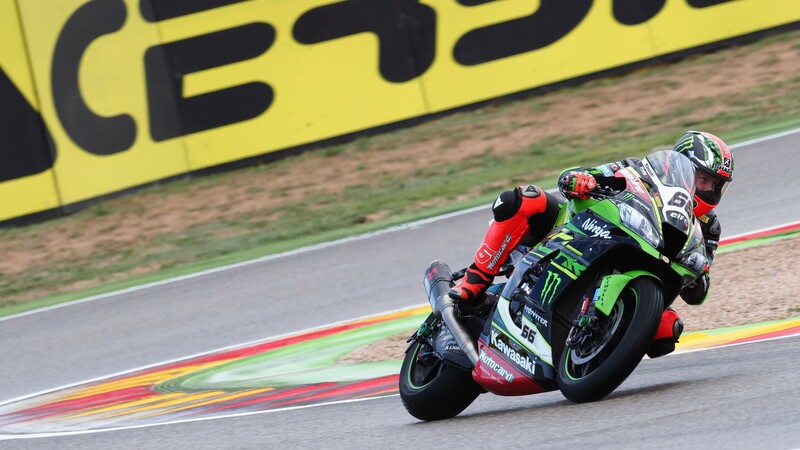 Behind him remained his teammate Michael van der Mark (Pata Yamaha Official WorldSBK Team) in seventh, with leading independent rider Xavi Fores (Barni Racing Team) in eighth after also failing to improve on his FP2. 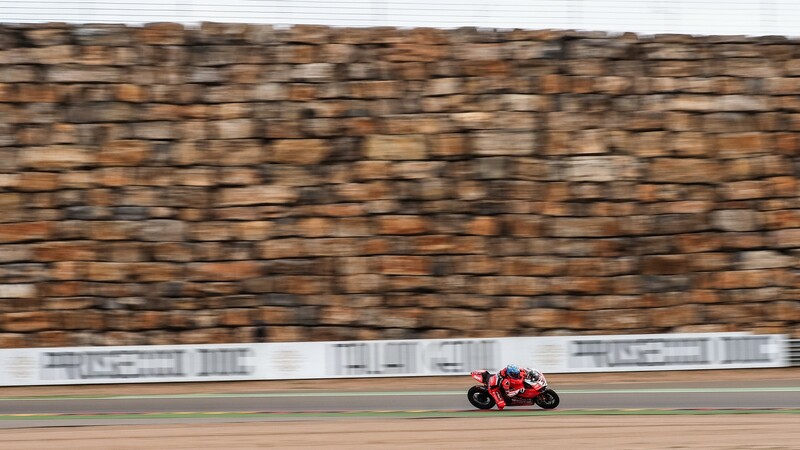 The biggest change from FP2 to FP3 came in the final two top-ten positions, with Lorenzo Salvadori (Milwaukee Aprilia) and Leon Camier (Red Bull Honda World Superbike Team) both recording better times and just edging Michael Ruben Rinaldi (Aruba.it Racing – Junior Team) and the final Panigale into 11th. 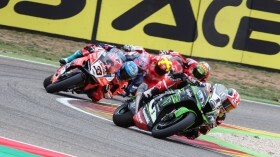 The Italian, in his Aragon WorldSBK debut, will be disappointed after remaining amongst the fastest riders for most of the first two sessions, and will have to fight back from Superpole 1. 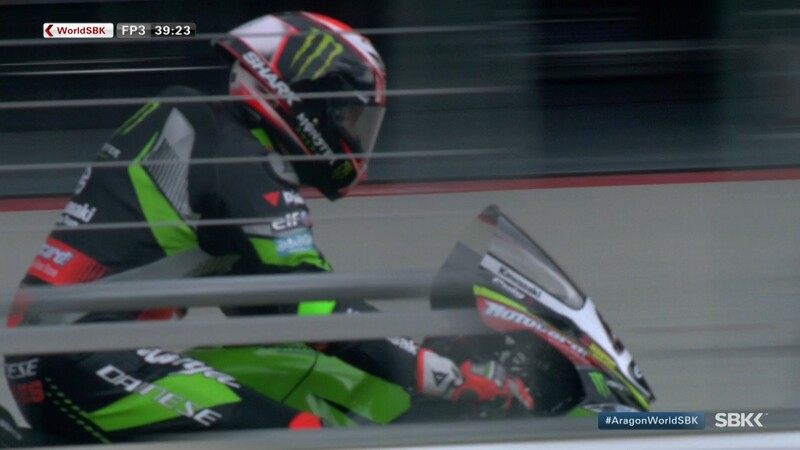 Baz (13th), despite riding out for the end of the session, could not improve his times and will also fight to get into the top 12, alongside Davide Giugliano (Milwaukee Aprilia), who finished twelfth in his 2018 debut. The last non-independent rider, Jake Gagne (Red Bull Honda World Superbike Team), moved up from 17th to 14th, still not enough to make it into tomorrow’s Superpole 2. 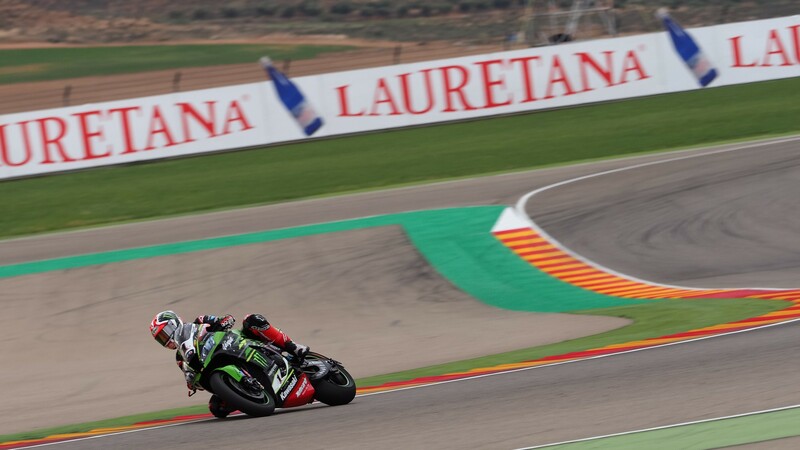 #AragonWorldSBK returns tomorrow, with FP4 at 08:45 (06:45 GMT), Superpole from 10:30 (08:30 GMT), and a thrilling Race 1 at 13:00 (11:00 GMT). 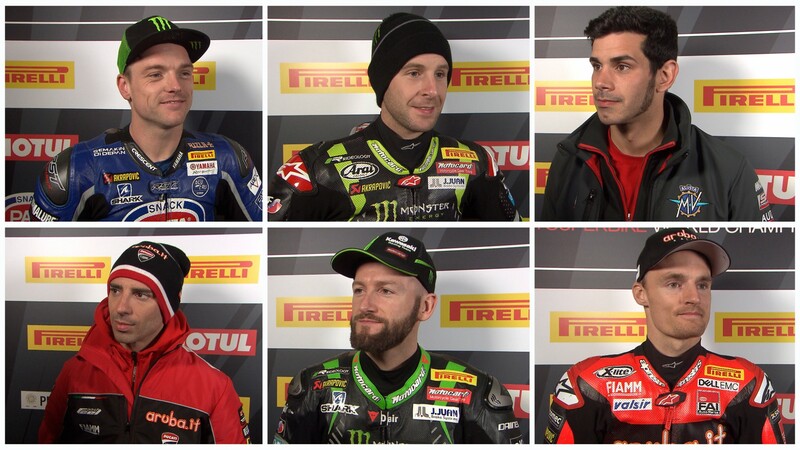 Catch all of those live on the WorldSBK VideoPass..